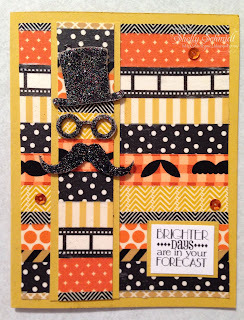 I love the review of the creative year- posting your favorite cards for each month. I feel so Blessed by meeting so many talented creative ladies (and gents) in Blogland. Thanks for all of the support and inspiration from you as well! 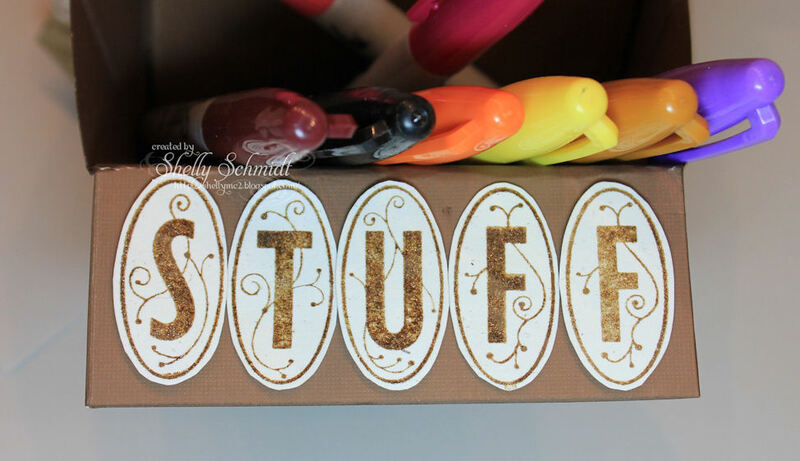 If you have posted your favorites, please leave me a link so I can stop by your blog as well! I colored the image (Hero Arts) with Copics, covered the image/cardstock with double sided sticky tape, then covered the sticky side with Sugar Beads. 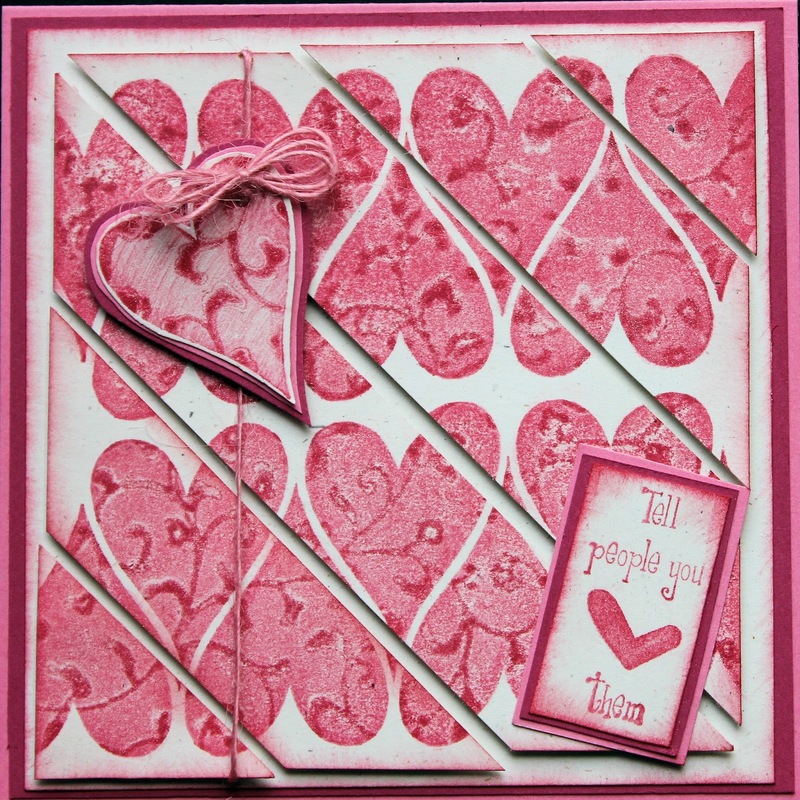 The sentiment is Paper Smoochies. 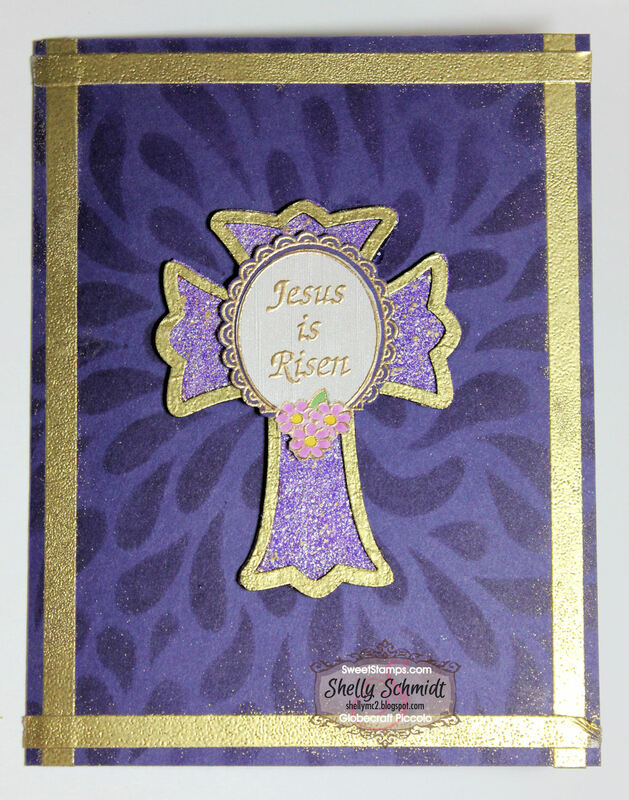 The blue cardstock is SU and the Gold metallic is Paper Temptress. 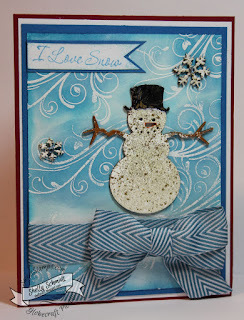 The deer is Sweet Stamps Globecraft and Piccolo accent and it is embossed with enamel EP Brownstone and Aged White. There is a shimmer in these EP's. 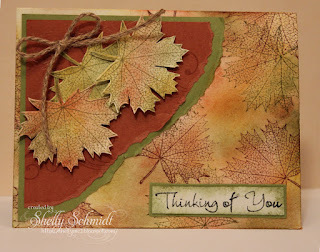 The sentiment and corner poinsettia are Create with TLC. 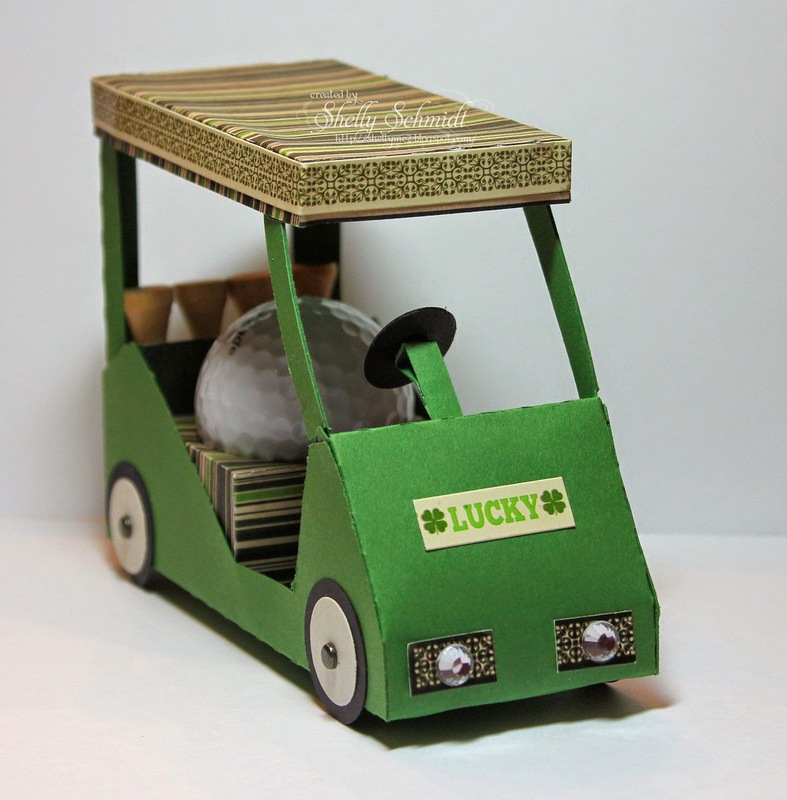 A whimsical card- the Gentleman Accents are Globecraft and Piccolo accents, embossed with enamel EP. The sentiment Create with TLC. My sister and BIL were involved in an auto accident- 8 vehicles and their car started on fire. I thought this would cheer them up. (They were not injured in the accident thankfully). I had to make a couple of Sympathy cards, so inked up one of my (unused) stamp sets from SU. Even though I need absolutely NO more DP, when I saw this stack (1/2 off) on Cyber Monday at Michaels, I had to have it....... It is by Paper Studios- Country Road. 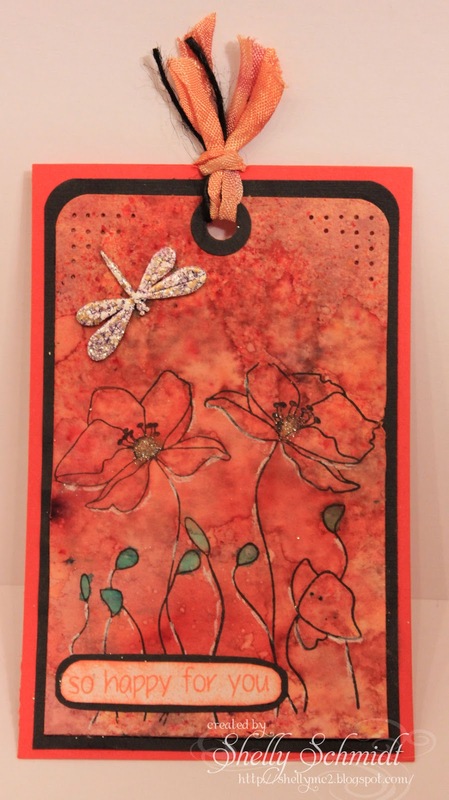 The floral stamp and 'Thoughts' are by SU from the set Best Thoughts. The sympathy stamp is by Unity. The image is colored with Copics, CAS for me- getting easier......... The reason for making these cards, not too easy. I made a couple more cards today- really cranking out the cards with the challenges! 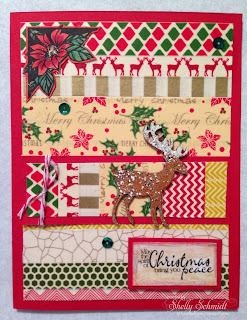 Day 4 at Christmas Chaos at Bugaboo is a recipe- 3 papers, 2 embellishments and one word. The image is colored with Copics, and I decided to try a dotted background using the markers. I added Wink of Stella on all of the ornaments, the star in her hair and around the outside of the oval. Three papers are SU- Garden Green and DP, I punched out a star from a TJ shimmer technique leftover, and decided to cover it with Stickles : ) I added rhinestones for the 2nd embellishment (Kaiserraft). 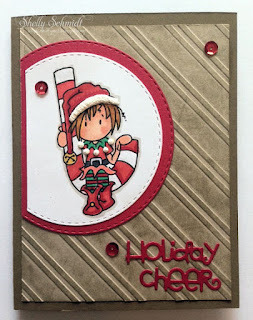 The Joy sentiment outlined with Sakura Gelly Roll Pen for some added shimmer. I used the sketch from Tuesday Morning Sketches. Again, using the Tuesday Morning Sketch- flipped on its side and a SU sentiment. How sweet- gotta love thpse House Mouse images! Again, colored with Copics and used some dotty action for the background. CAS but it is one more card done! 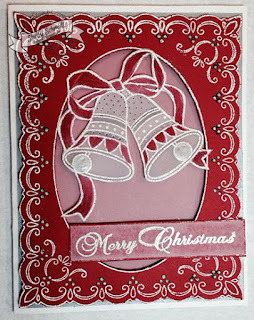 I made a card- pretty quickly too- yeah! This is a CAS card for the Bugaboo Christmas Chaos Day 2, which is a sketch challenge. 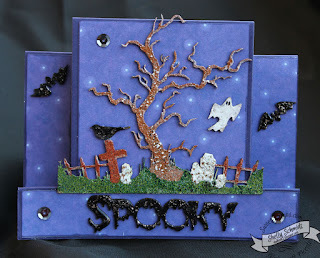 I printed out the image, cut it out with a Spellbinders die and colored with Copics. The DP is Bo Bunny. The sentiment and star are by Stampendous. 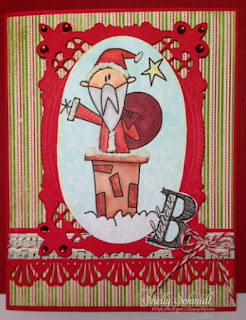 Bugaboo has a Christmas Chaos challenge this week- every day a new challenge. 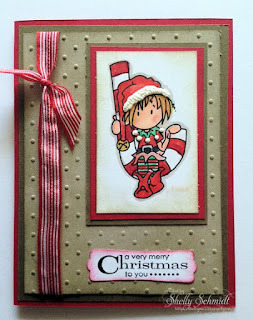 I am going to see if I can work on CAS cards and make needed Christmas cards! 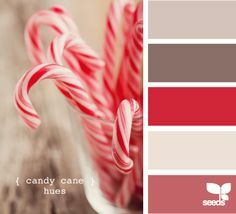 Day 1 (Saturday), the theme is Santa. 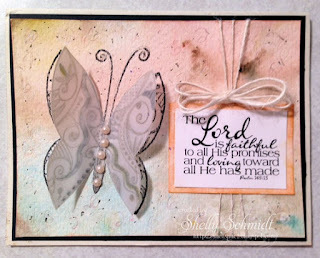 The image is HERE, and the sentiment is from Create with TLC. 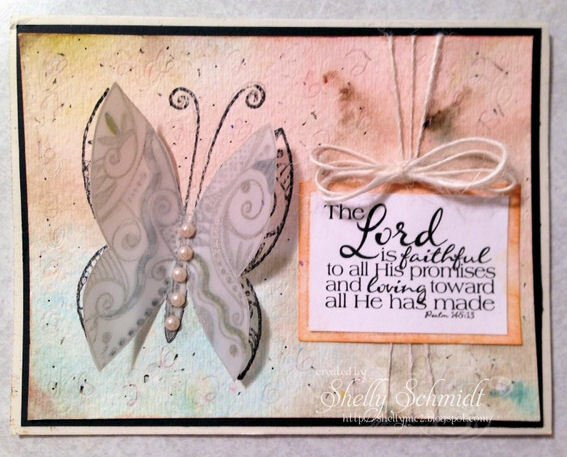 I have quite a few Bugaboo images in my stash, and a new one or two, so may just give this Chaos challenge a go for the week....we'll see.....! 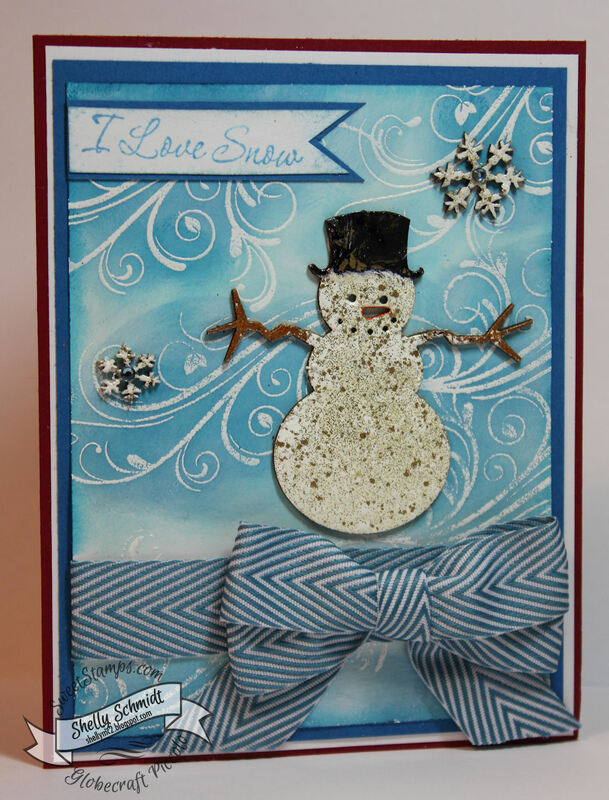 I used liquid applique on his hat and shirt, and wink of Stella for the snow- I put it on really thick! I added a touch of WOS to the Believe sentiment as well. I used a Sketch from Scrapping Everyday Miracles. 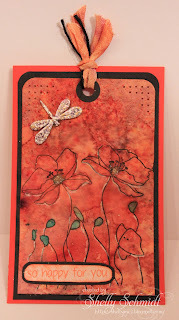 I love sketch challenges...... : ) The cardstock is SU Real Red, the die is from Joy!, and the punch is Martha Stuart. I used the same stamps as yesterday- both sets were used for the first time ever- and my goal is to use unused stamps- so Yeah! The images were stamped with Versamark and embossed- the Cloisonne Nesting Squares embossed in Queens Gold and the Punch and Spell Alphabet letters with Valentine Sparkle EP. 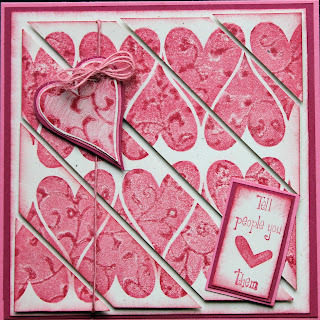 The Smallest of the nesting squares was trimmed out for each square, and I watermarked with the image on the entire red background with Versamark. 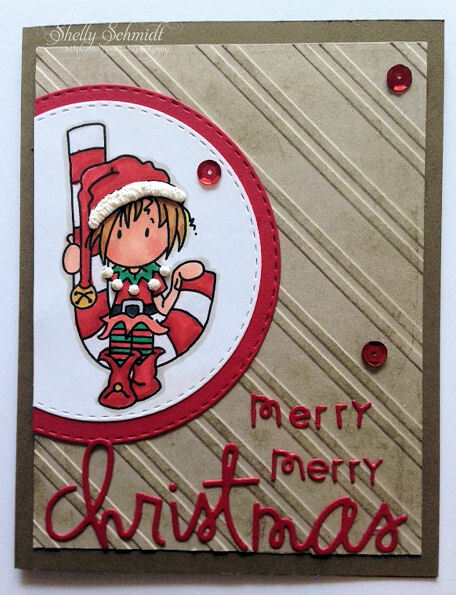 The sentiment and holly are Stampendous images. If you want to join in the group, look up Yahoo Groups and google Enjoy Michael Strong Stamps, There is daily inspiration by members give us tons of ideas to use the stamps and challenges as well. My daughter has a tan/black color scheme in her sitting area, so I used brown(s) for my colors. I used Michael Strong stamps Cloisonne Nesting Squares and the Punch and Spell Alphabet. 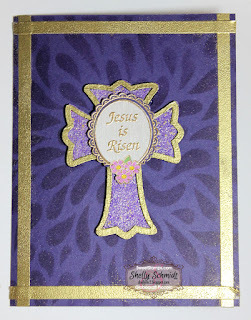 This takes 5 pieces of 12 x 12 cardstock. 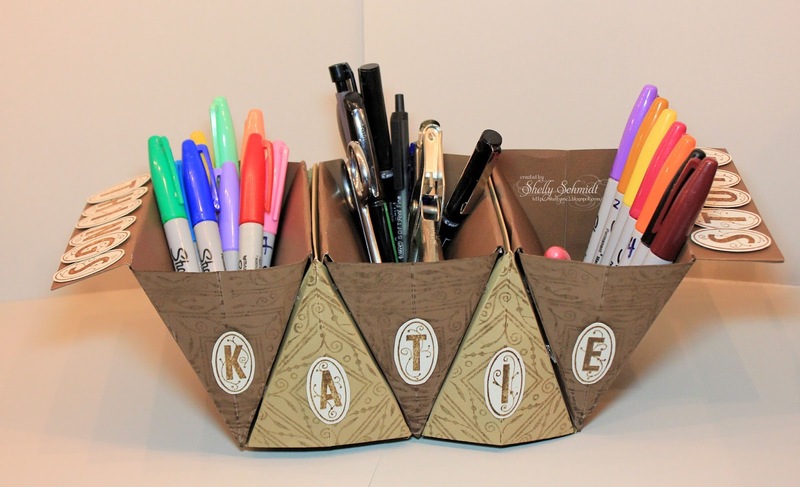 Below is the tutorial I watched to create this pencil holder. I used Brushed Corduroy Ranger Distress Ink on this project, and on the letters, embossed it with Clear Distress EP. I have embedded the video- it is in Spanish....... I have a few tips below to help with the folding. 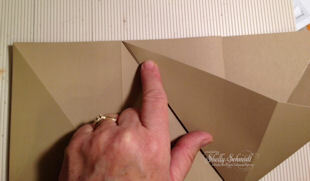 I measured the cardstock- a true 12 x 12. Score at 4" and 8". If it is NOT 12 x 12, just divide the width x's 3 when you score for the first step. 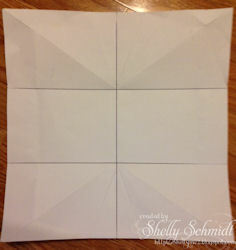 Turn the cardstock and score at 6" for the second side. 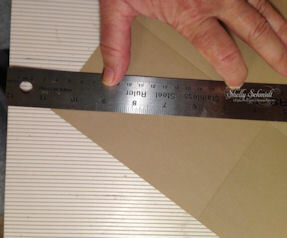 My ruler is flat against the bottom of my score board with one of the scoring grooves right next to it. Line up the point of the corner at the score intersection to the side of the ruler and get the point of the corner at the bottom lined up. This will make your paper line up to the groove on your scoreboard- and you need to do this 20 times (5 sheets of cardstock- four scores per page), so it works great /saves time, OR, you can just fold this line and use the bone folder for your crease. This is the point that was a little hard for me. Wth the paper folded in half, you will take each corner and bring it over to the far left score line, as shown in the next 2 pictures. 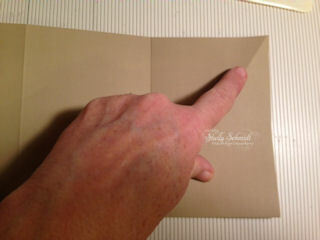 When you get to this point, you will smooth the paper to the Rt and use your bone folder to get it to lay flat. Repeat from the Lt side corner as shown in the video, then turn over and repeat on the other side. My last tip is in regards to the side flaps at the end. 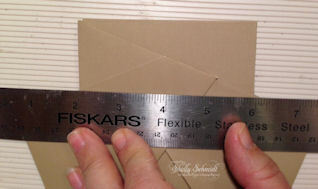 I held my ruler along the line, used the bone folder and scored along the ruler line, then kept the ruler there while I folded up the cardstock. Repeat on the opposite side. 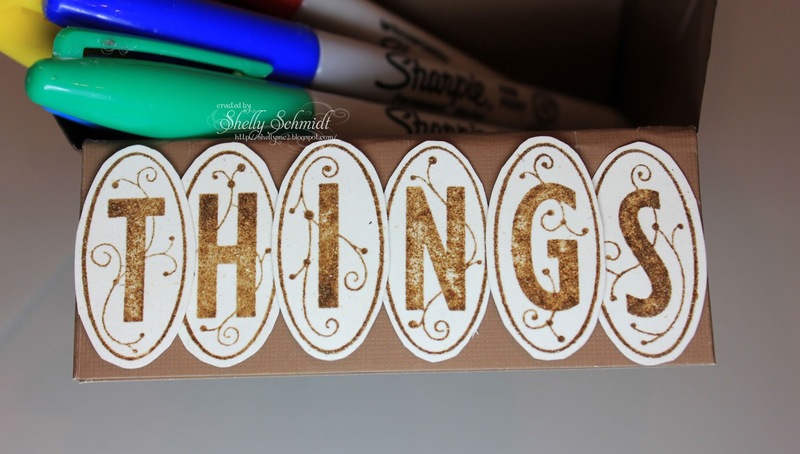 Once complete, fill it up with your "Things and Stuff". I was surprised how sturdy this is! 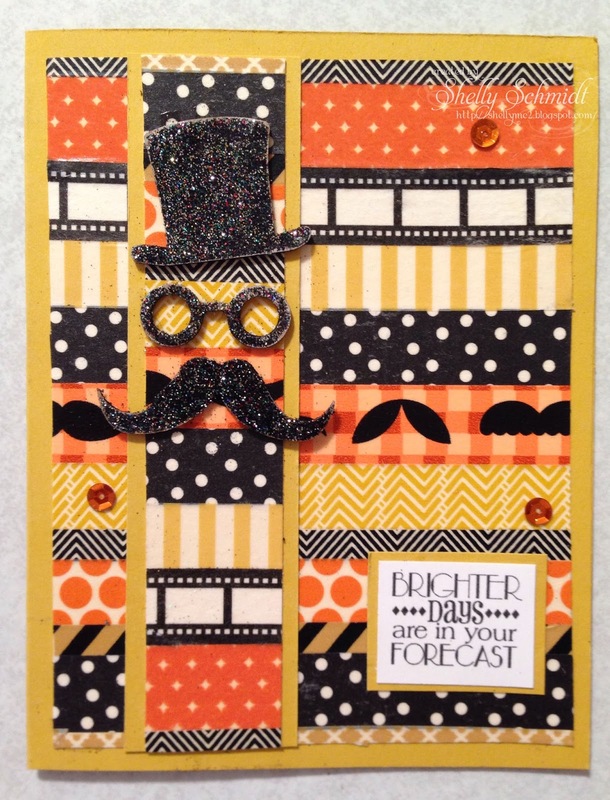 I made a card using Bister for the background today. I stamped the butterfly from Michael Strong Stamps onto Watercolor paper. There was a small area where the image did not stamp well, so I stamped the image again on Vellum, It is colored with Sakura Jelly Roll pens and Copic markers on the back of the vellum. 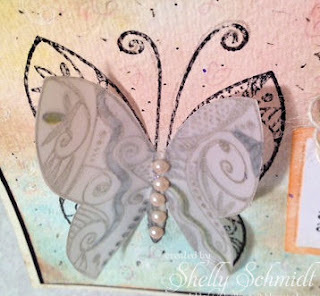 I applied it directly over the first image- added some pearls and a sentiment from Create with TLC. I will be back tomorrow with a fun project and a tutorial too. It is the year of the goat/sheep. In China, there is no distinction in vocabulary between the two. I colored the images with Copic Markers. I used the Traditional color-Red- for Chinese New Year. The Chinese New Year characters can be seen HERE if you want to know your animal. There are 5 earth elements- Wood, Fire, Metal, Earth and Water that 'everything' comes from. (Wu Xing + woo sshing). The year you are born is associated with the above signs, so in China, even though the animals rotate every 12 years, how they are associated with the 5 elements dictates how your year will go. Also, the number 4 is si which is similar to the word death in much of China- so it is like our number 13. In China, you will not see floor 4, 14, 24 etc in an elevator. It is not lucky on your license plates or as your house number either..... That is why I used three goats in my layout, and the signs for Happy New Year in the 4th box. 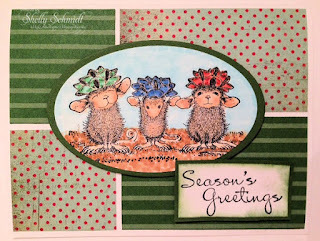 Michael Strong gifted this freebie image to us this past January on his blog HERE. 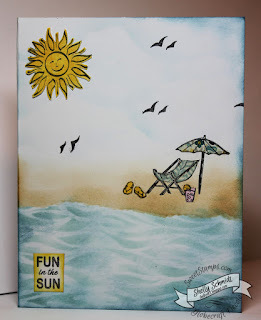 If you follow his blog, he does nice things like that on occasion : ) Also, if you love his stamps, look up the Yahoo Group- daily inspiration by members give us tons of ideas to use the stamps.